About 1 out of 2.5 people in North America will get cancer at some point in their lives. I notice an interesting parallel between how we treat cancer and how we treat pests in our gardens. The main ways our medical system tries to get rid of cancer are to cut it out (surgery), burn it out (radiation) and poison it out (chemotherapy). I’m not here to discuss the merit of these practices, but I think most of my readers would agree that there are at least some additional strategies that would be nice to consider if we’re interested in taking more of a holistic approach. Certainly the cut/burn/poison methods don’t do anything to address the root cause of disease, nor do they leave our bodies in a healthier state, so it’s pretty clear that also incorporating some methods of improving our health could play a tremendous role in treating many types of disease. Hey guys it’s Phil from Smilinggardener.com, today I’m talking about pests in the garden. Before that I want to announce for the last time that the fee for my Smiling Gardener Academy which is my very comprehensive online organic gardening course, the fee is going up tomorrow night, Tuesday night, at 9:00pm eastern time. So if you’ve been thinking about that you might want to check that out so you can save a lot of money. And basically that course is a twelve month course, all online, home study, video based where I into a lot of detail about how to grow a really nutritious garden, how to get rid of pests, how to grow food – a whole bunch of stuff! You can read about it down below. I have a really great guarantee so if you just want to try it out and see if it’s for you, if it’s not for you, you get your money back so I just encourage everyone to check it out. So today I’m talking about pests in the garden and I wrote a really long blogpost again so I’m not going to summarize it all here, I encourage you to go read it down below because there’s a lot of great tips in here. But I was writing, I was thinking about cancer and I read this stat about how 1 out of 2.5 people are going to get cancer in their lives. I was thinking about how we deal with cancer in the medical community very similarly to how we deal with pests in our gardens. And so I’m not really here to talk about cancer today I’m here to talk about gardening because that’s what I know about. But with cancer, we tend to try to cut it out through surgery or burn it out through radiation or poison it out through chemotherapy and we do similar things in the garden, and so I want to talk about that today. When I’m trying to get rid of a predator in the garden I have two main things I want to think about which is: Does it actually get rid of the predator? Does this task, whatever I’m going to do, does it actually get rid of the predator? And two, does it make the soil and especially the plant healthier? Because as I’ve talked about before – a plant that is optimally healthy is not going to get consumed by diseases and insects because they can’t digest that, they really go for a plant that is nutritionally stressed, that’s their role in nature is to eat those plants. And so if we can make our plants healthier it’s not going to be an issue and so that’s one of our goals in the garden. So, I don’t want to make this video too long so I’m just going to briefly summarize my points and I hope you’ll go read them down below. The first is: pruning, which is cutting, pruning, surgery. If we do that to our plants: two questions – does it get rid of the pest? You’d think it would if we prune all the branches that have the pest but it really doesn’t because lets say aphids, or let’s say a disease like blight. They’re all over our garden. They’re not necessarily causing any problems but they’re all over our garden and our neighbors gardens, they’re everywhere! So if we just prune the branches that have them they’re still going to come and find the plant if they think that plant is food for them. So pruning really doesn’t help get rid of pests: does it make the plant healthier? No it doesn’t – and I’m going to explain that down below why it doesn’t, but it actually makes the plant less healthy when we prune. Two is burning or radiation, or in the garden like literally burning diseased leaves and diseased plants. Similar kind of thing to plants, or to pruning. Again to keep this video short I’m going to ask you to read down below, but does it get rid of the pests? It doesn’t really! You’d think it would but it doesn’t really. Does it make the plants healthier? No, it doesn’t make the plants healthier. So read that down below. I know I keep sending you down below but I’m trying to keep the video short.Third, okay, third is like, and for cancer it’s chemotherapy, for the garden it’s pesticides! So insecticides, fungicides, herbicides. So, do they get rd of the pests? Well, sometimes they do. It’s actually getting to the point where pests, well insects, diseases are getting more and more resistant to them and more able to handle them so we have to get more toxic poisons, or use different poisons or combinations of poisons, so it doesn’t work as well as it used to. But if you intelligently use them sure, they do get rid of them in the short term. But, does it make the plant healthier? The answer is no! It makes the plant actually sicker, so that it invites more pests, it does this in a very interesting way which I kind of explain a little bit down below. But, a long term goal of getting rid of pests, if we’re spraying pesticides it just invites more pests. Okay, let’s go to four the one that I use which is creating health. Creating health, first is does it get rid of the pests? You know sometimes in the short term it does. If we bring in some effective microorganisms, which is a microbial inoculant and combine that with some, like something like some liquid seaweed which is really great at helping plants boost their health really quickly. Sometimes if we do that once or twice or three times over the course of a couple of weeks the pests will go away. Sometimes it won’t because of if our plants are really sick then they need more help than that, but it can be a short term control. But does it make the plants healthier? Yes! Absolutely! When we encourage plant health which is what I really wrote about a couple of days ago in that blog post and I made a short video about it so I’ll point you to that. When we do that we get, in the long run, we get rid of pests and so in my garden occasionally I’m still going to have issues but I hardly think about it anymore and that’s the goal. So creating health is the long term goal. Now, I know some people are going to say, “well, okay I agree with you but I have aphids! I need to get rid of aphids right now!”. So I’ve written down a couple of my favorite recipes for getting rid of insects and diseases. I’ve written them down below – I’m not going to share them with you right now, I just hope you go read them. And so that’s pretty much what I wanted to share today. A couple of things. One is the Academy. If you think you might be interesting in this comprehensive online gardening course go check it out before the price goes up tomorrow night. Two is: just ask me your questions about pests in general about all these things I’ve been writing about. I’m curious to hear your thoughts and I’d just like to get into a conversation with you, and that’s all for today! See you soon! But I’m not here to talk about human health today. What’s interesting to me is how we seem to deal with diseases and pests in our gardens the same way we deal with it in our bodies. And how even though many of us have figured out that there’s a more holistic approach to preventing and curing disease in our bodies, we may not have made that leap in the garden yet. My goal with my online organic gardening course is to teach you how to make the transition from ‘pest management’ to ‘health management,’ from treating symptoms to treating root causes. Oh ya, I should mention again that the currently discounted fee for my online organic gardening course is ending this Tuesday night at 9pm Eastern Time. So check it out now if you’re interested in learning a comprehensive process for growing nutritious organic food and getting rid of pests for good. So, just as cancer is a disease of the body, blights and wilts and aphids are diseases and pests of our gardens. I get regular emails from people asking me what to do about cucumber beetles and mildews and all kinds of other plant predators. I’m writing this article so I’ll now have a more thorough explanation for them. Does it get rid of the predator? Does it make the plant healthier? Point 2 above is something I’ve written about before, but in short, an optimally healthy plant won’t get attacked much by insects and diseases because they can’t digest it – they’re looking for plants that are in a state of nutritional stress, as that’s the role of insects and diseases in nature. We humans don’t have the ability to regenerate our appendages. So when we remove a breast or a lung, we aren’t getting it back. But the cool thing about plants is that they have evolved the ability to regenerate their appendages. When we prune a branch, the plant will heal the wound and grow another branch nearby. Does it get rid of the predator? At first we might think yes, but the answer is no, not really. If 10% of the branches on our tomato plant have aphids or blight and we cut those branches off and take them away, are the aphids all gone from our garden? Is the blight all gone? No, there are still plenty more of them hanging around and they’ll find the rest of the plant if it’s appealing to them. We can’t get rid of them by pruning. Does it make the plant healthier? It’s cool that plants can heal the wounds we create when we prune and can grow new branches, but that requires energy and resources, and until the wounds are healed, it’s a perfect place for disease to take hold. Also, we’ve just removed part of the photosynthesizing capability of the plant, so it can’t make as many defensive chemicals to fight the predators. So no, pruning a plant doesn’t usually make it healthier. Pruning out pests and disease is a common recommendation, but in my view there aren’t many situations in which it makes much sense. We’re not getting rid of the predator and we’re just making our plants less healthy, therefore more susceptible to pests. That being said, I will say that this is quite a contrarian point of view I’m presenting. There are people in the horticultural industry, for whom I have much respect, who do advocate for pruning out disease. Personally, I think it’s short-sighted most of the time, but as with cancer, I bet there are times when it’s appropriate to temporarily get rid of it in order to buy some time while we’re also working to improve human/plant health. As with pruning, a common suggestion is to burn plants and leaves that are infected with diseases or pests, in order to clear your garden of these predators. Does it get rid of the predator? Again, no it doesn’t. There are other aphids in the area, and other blight organisms. In the mean time, the beneficial predators that would usually eat them – like ladybugs for aphids and various microbes for blight – are wondering where their food source went. Does it make the plant healthier? No, it removes organic matter from the garden that would have provided many benefits (I know it’s diseased organic matter, but that isn’t the problem here – we have to remember that disease is the result of unhealthy plants, not the cause of them). This is similar to the pruning up above in that we’re just trying to remove the pest, which is a misunderstanding of why the pest is there in the first place. And as with pruning above, perhaps we can give the plants a bit of a break by removing a certain percentage of their predators for a short time until more come in, and sometimes it may make sense, but it’s definitely a short term solution at best. Here we’re talking about pesticides – fungicides for fungi, insecticides for insects and herbicides for weeds. Does it get rid of the predator? Yes… well, at least sometimes. Insects and microbes develop resistance fairly quickly, which means we need to use more and different poisons all the time, but an intelligently used pesticide can do the job pretty well. Does it make the plant or soil healthier? No, most pesticides have at least some negative impacts on many other species, if not huge impacts. E.g. an insecticide doesn’t just kill aphids – it kills many beneficial insects and harms plants, too. Most pesticides end up shifting plant processes so that the plants actually invite more pests. And then of course there’s the poisoning of our environment and our food – I don’t think I need to say much about that. We want to limit the use of pesticides. What about organic pesticides? Well, if they really are organic, like if they’re OMRI Listed for example, then they’re probably less harmful to the environment. That being said, they’re mostly still harmful to at least some beneficial organisms in addition to the pests you’re trying to get rid of, which is a big downside. Anything that kills aphids or blight is going to harm other insects and/or diseases. Some people think we can dramatically decrease our risk of cancer by living a healthier lifestyle. I know for a fact that we can definitely decrease the amount of pest problems in our gardens by focusing on creating health there. Does it get rid of the predator? In the short term – sometimes yes, sometimes no. We can occasionally do something (like spray weekly applications of effective microorganisms and liquid seaweed) that fairly quickly moves a plant to a healthy enough level so the pests cause much less damage, but sometimes it takes longer, which I know can be hard to handle when we want our tomatoes to grow well right now. Does it make the plant or soil healthier? Yes, that’s what we’re going for here. We’re creating healthier plants and soil that won’t get many pest problems in the future. My article from this weekend gave an overview of how to do that. In short, we need to make sure the soil and plants have proper nutrition (organic fertilizers and organic matter) and proper biology (microbial inoculants and quality compost). Doing this for a few years in a row is why I no longer worry about pests in my garden. Okay, so maybe you agree that we should be taking a healthy preventative approach for long term organic garden pest control. But maybe you’re also still anxious about how to deal with some specific pest that destroyed your plants last year and will probably come back this year. 1. For insects (and diseases). Crush 1 medium clove of garlic and marinate it in 1 tsp of vegetable oil for at least 24 hours. Then add 1/2 tsp of dish soap and mix well in at least 1 quart of water. Optionally add a teaspoon of cayenne pepper (makes it more effective, but also harder on beneficial organisms). Then spray on the plants in the morning. This works with many soft-bodied insects. 2. For diseases. Baking soda may help to prevent and eradicate powdery mildew, black spot and a few others. Apparently the original research on this was not particularly conclusive, but it has worked very well for me on roses. A solution of 1-5 Tbsp of baking soda per gallon of water is generally recommended. Start lower though, as 5 Tbsp can hurt the leaves in some cases. I go with 1 tsp per quart of water. But remember, even though these solutions are not nearly as toxic as chemical pesticides, if they’re harmful to some of the ‘bad’ insects and microorganisms, they’re harmful to some of the good ones, too. Also, don’t stop there – the main goal is still to improve soil and plant health to the point where you no longer worry about pests. I cover pest management all throughout the Academy, but especially in month 3. If you’ve been thinking about enrolling, check it out today because the current discount is ending this Tuesday night at 9pm. 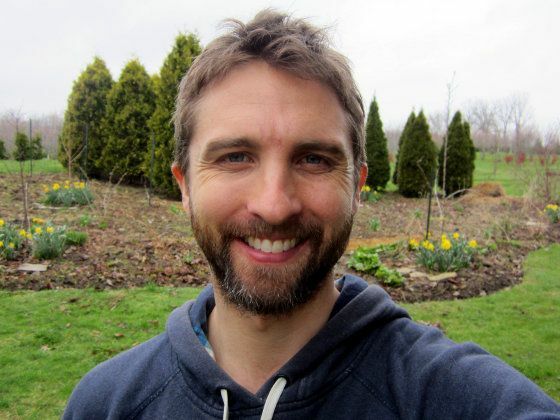 If you want to bypass the pain I went through when I was a beginner organic gardener – of killed plants, rampant weeds and pest infestations, tasteless foods and money wasted, it’s definitely worth trying. The membership includes exclusive access to 35-40 new videos each month with accompanying text, and a like-minded community of organic gardeners. I hope the 1 year 100% money-back guarantee makes it worth trying out. Thank you, I would like to know how you deal with slugs and do copper coins help? Slugs prefer a moist, humid environment, so the first step is to place your vegetable garden in a sunny, warm spot and don’t over-water, especially at night. I haven’t found copper coins to do much, but here are some things that have worked for me:-The first one is Effective Microorganisms (EM). Spraying it all over my plants and garden has sometimes stopped slugs from eating. They were still there, but they didn’t eat much.-Beer (or a mixture of of 2 Tbsp flour, 1 tsp brewer’s/instant yeast, 1 tsp sugar, 2 cups warm water) attracts them, so put that into a plastic container and bury it in the soil so the top is level with the soil. Some people put 1 tsp of salt in, too. They will crawl in and die. It’s kind of gross, but it works. Unfortunately, it kills some beneficials, too.-When I lived on the west coast, fresh seaweed as a mulch worked very well, I think because of the salt. And when it dried out, the roughness was difficult for the slugs to navigate over.-Mixing yucca extract 50:50 with water deters slugs from eating. Just like with the EM, they’re still there, but they don’t cause near as much problem.-During the day they hide in damp, dark places at or just below soil level. You can put out some boards such as 1X6’s in the garden and they will hide there. Go out every morning and/or night, lift the boards, and do whatever you want with the slugs. You can lay the seaweed down without washing it – no problem at all. The EM/fungi/sea minerals may help too. Thanks Phil! I cannot wait for this season. I am actually planning on taking the Master Organic Gardening course next spring at Gaia College. Are you still teaching there? No, not teaching there right now, but still friends with the founders. Hope you enjoy it! You are wonderful and truly helpful person. For slug and also for tomato plant I use crushed ( organic ) egg shell. Does that help? I appreciate your help. If you have enough egg shells it may help deter slugs. They’re also a good source of calcium, but again, most of us don’t have enough egg shells to supply all that much calcium. Thanks for sharing all that Eddie – sounds awesome! I’ll email you about the Bermuda grass.As for starting seedlings, one thing I make sure to remember is to not overdo the fertilizers, especially things like liquid fish or the n-p-k that you got from me, because they can burn the young plants. But I do come through once or twice/week with a very diluted solution of EM, seaweed, sea minerals or fish, and dextrose/sugar. I’ll put it on my list to write more detail about all of this some time, probably next winter makes the most sense. Love the cancer/garden analogy! It’s absolutely correct to ask in both situations: does whatever you’re doing get rid of the predator (cancer)? Does it make the plant (patient) better? Beautiful advice from you. Question about pruning: we have a fig tree (large bush) that we prune every winter. Why do we do this? Well, beyond “our mama always pruned her fig tree,” it does seem like figs appear only on new growth, and pruning assures new growth every year. Plus, pruning keeps the new figs within reach instead of 15 feet up in the air. Do you think we should stop with the annual pruning? My suggestion is to continue with the pruning. Once a tree has been pruned regularly, it doesn’t seem to work very well to let it go back to natural growing, because it’s no longer a naturally-growing tree. But that’s not to say that all pruning is bad. For example, keeping fruit trees small in order to make harvesting easier often makes sense. Personally, I do this with some of my fruit trees and allow others to grow more naturally to their full size. And you’re right, many figs will come on the new growth (but new growth happens regardless of pruning). We recently took over management of a farm that’s been in the family for a long time. The fields have been rented out for the last 50 years, and the farmers tending those have used horrific poisons like RoundUp. We’re trying to permaculture it back to health, allowing for wetlands to establish, polycropping, leave some land fallow etc. I am very concerned with the long term effects of the toxins though, and wonder if you have any tips on how to help detox the land? I know cover crops like hemp (legal in Finland, where the farm is located) enrich the soil, but is there anything that helps break down the RoundUp? Sounds like you’re on the right track. In my view, the best route is to establish a healthy soil food web (microbes, animals and plants) that will expedite the breakdown of the glyphosate and other ingredients. I don’t know of a specific protocol to follow though, but it would be a very interesting and important topic to study. I live in south Florida, and I have a serious problem with ants getting into my compost. Any suggestions? South Texas has a similar problem with fire ants. I followed a homemade recommendation and had wonderful results. No more ants in the compost pile. (They weren’t doing it any harm, of course. I just didn’t want to work around them.) You will need 7 easily located items: an empty plastic container with a lid (like what sour cream, cottage cheese or butter comes in–anything disposable with a lid), Phillips screwdriver or an ice pick, a spoon, 20-Mule Team borax, granulated sugar, peanut butter, water. Using the screwdriver or ice pick, poke 5 holes evenly spaced around the container about an inch from the top. Fill your container halfway with a mix of 1 part Borax with 3 parts sugar. Add just enough water to make it soupy. Add 1 part peanut butter and stir. Put the lid on, and place the container where you’ve seen the ants. Check back in a couple of days, and you should see results. This simple trap is cost-effective and gets the job done for us. You can just toss the used trap, but I just washed ours out and reused it on a different ant bed. It worked again. I wish you well. Love your blog and you are really helping novice gardeners like me to grow plants in my balcony. I had a tomato plant and pepper that had yellowing of leaves and I made a solution of one gallon of water with one tum antacid tablet (for Calcium) and 1 tbsp epsom salt and sprayed on the leaves. They wilted over night. Please let me know what did I do wrong so that I can correct my mistake with other plants. Can I do something to revive the plants or they need to go. There are some ingredients in Tums that could have caused harm to your plant, or perhaps the fact that the plant was already sick meant that the fertilizer was just too much – I’m not sure. It’s hard to know for sure what to do from here. Obviously proper watering is important. Applying a microbial product ( https://www.smilinggardener.com/sale/effective-microorganisms-and-scd-probiotics/ ) along with seaweed ( https://www.smilinggardener.com/sale/liquid-seaweed-fertilizer/ ) could be helpful as well.